There are more than twenty different subjects available for study in the Sixth Form, offering a range of traditional and modern options. 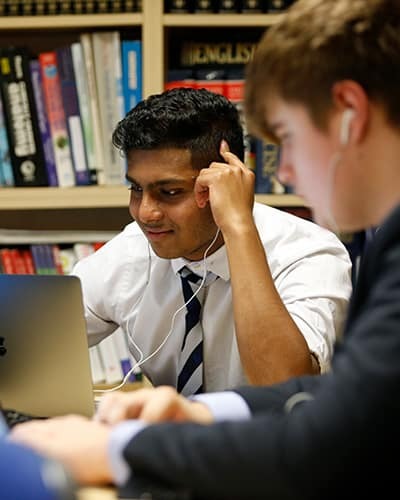 Many of these subjects continue to build on work covered during the GCSE years but there are plenty of new options, both academic and more practical. We are confident that our curriculum offers plenty of choice and that everyone can find a balance of courses to suit their individual needs. Class sizes are small and all A Level and BTEC courses are taught by teachers who are experts in their respective fields, we well as being enthusiastic and committed educationalists. As well as their subject-specific lessons, students are given many opportunities to enrich their learning through the development of life skills, such as cookery, financial management, entrepreneurship, service, leadership and public speaking, to help them prepare for their future after school.